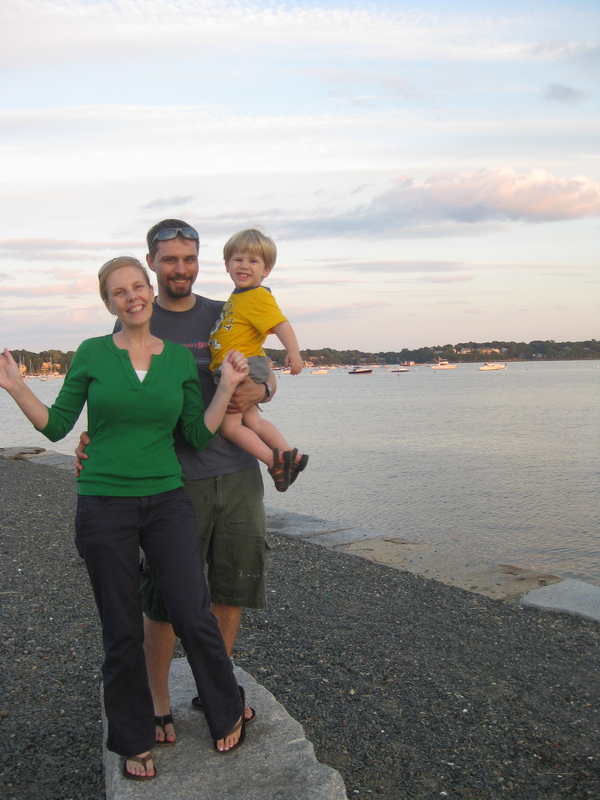 Summer has officially begun for the Sharpteam, as I navigate intentionally planning time with our little guy. Week One was birthday week and a lovely way to kick off the summer. Colton celebrated his actual birthday with some really special presents and outings as seen here and then had a fun-filled birthday party with his family, as you can see here and here. We added in some other activities. 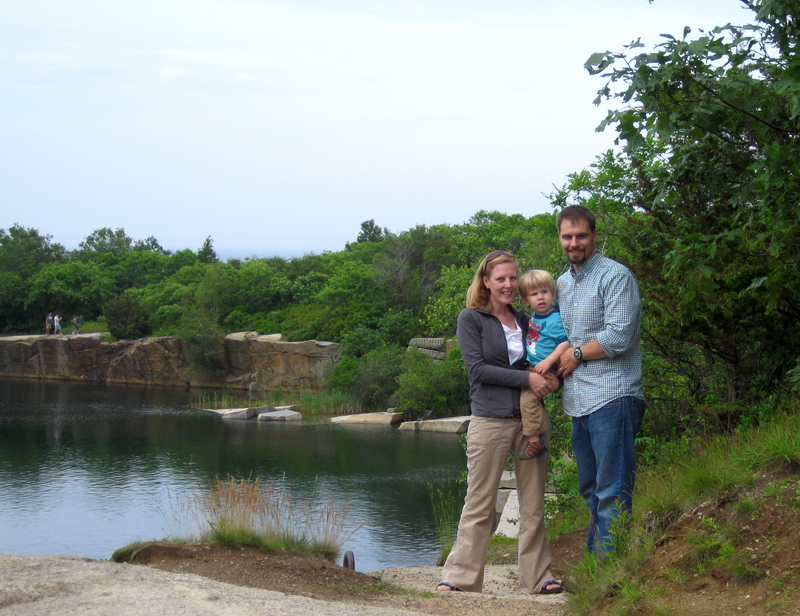 We visited Halibut Point. I posted a visit that just Cole and I made to our special spot here. But we also returned as a family. 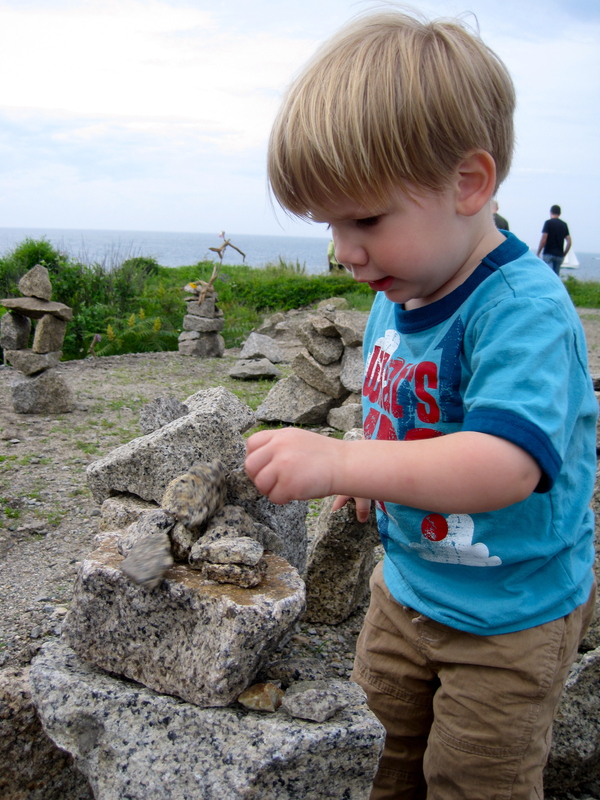 A year ago we had a dedication service for Cole at Halibut Point where our friends and family placed rocks in a Cairn to mark the important moment. This year Colton spent lots of time working on “building.” He loved it. We look forward to returning again and again . . .
We did a few other things to celebrate birthday week as well. Andrew and I are unable to communicate with Colton’s birthmother. So we wrote her a letter any way this year and posted it here. 1) We planted day lilies. The weekend after Cole was born, he was unable to be with us, but the day lilies came out in full force. Orange had come to be a color we associated with baby Cole, and they were a reminder of him every where. I promised myself that each year when they came out that I would remember the baby we were going to adopt. 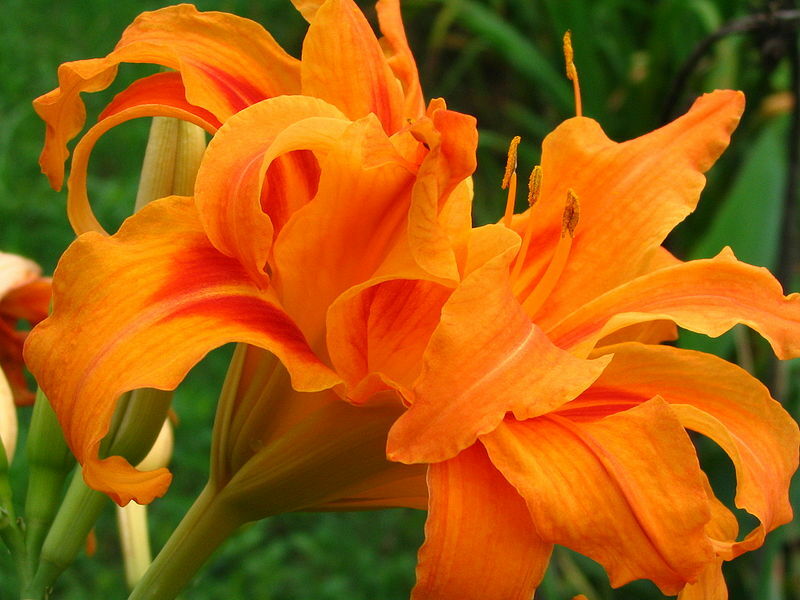 Now he is with us, and when the day lilies come out it is a time of celebration here, they are a chorus of joy. We planted some of our own this year. 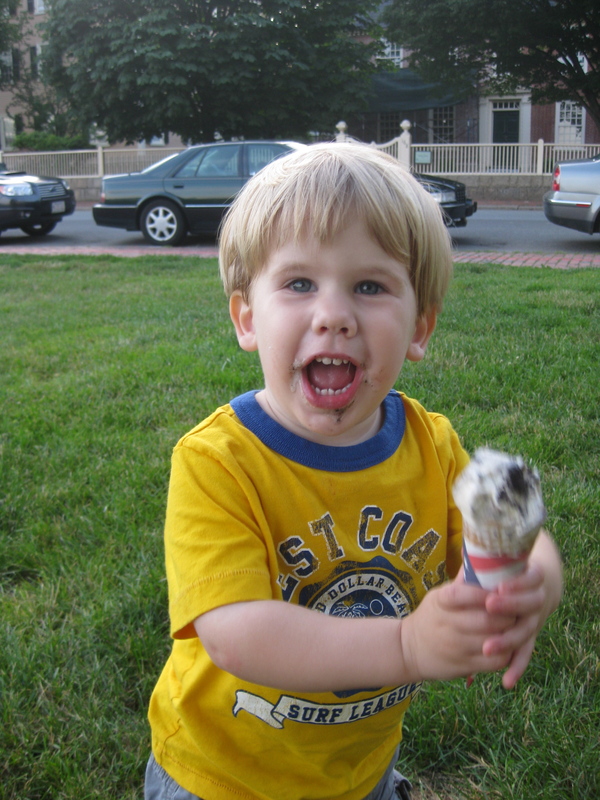 2) Colton has discovered and LOVES ice cream. Captain Dusty’s is the Sharpteam favorite. We were able to share in our favorite ice cream with a dear friend, Gwyn. Gwyn was one of the first people we shared our adoption intentions with when we were in Uganda, where she lives and works. 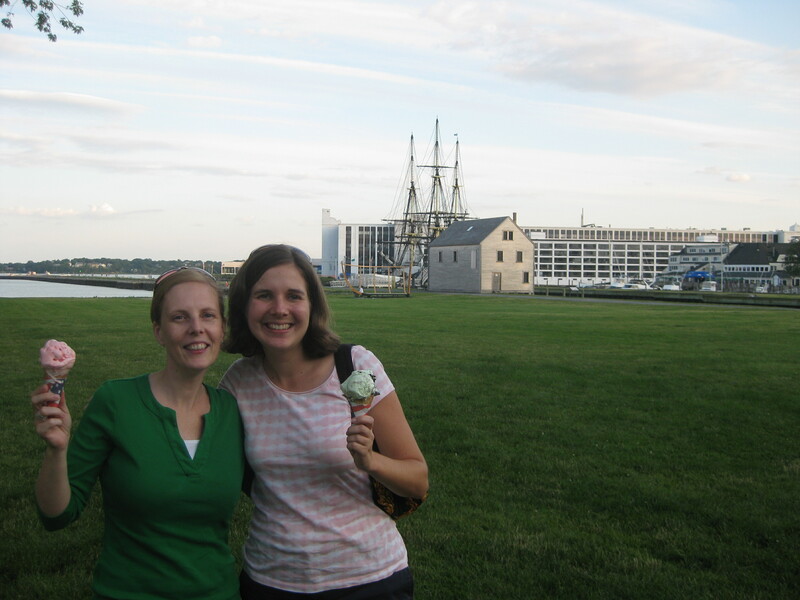 She once worked as an adoption worker, and she assured us in the midst of the process that we could know that there “would be a baby.” How fun to share ice cream with Gwyn! It was a wonderful birthday week . . . Loved celebrating with you all! Thanks for including me and hosting me this past week.